We all worry from time to time but some people worry almost all of the time. If you are a chronic worrier, you may find yourself feeling anxious about many things, you may fret about the safety of your children, daily domestic matters, what people might think of you or possibly loosing your job. This type of chronic, constant worrying is known as Generalized Anxiety Disorder (GAD) and it means that instead of being anxious about one specific thing, you tend to be anxious about one thing after another and often you are anxious about several different things at the same time. Generalized Anxiety Disorder also has physical symptoms that come along with worrying and many chronic worriers complain of irritability, muscle tension, tiredness and insomnia. If you have Generalized Anxiety Disorder, you may often find yourself caught up in endless cycles of being anxious and worrying about something. As soon as one worrisome problem is resolved, you move on to the next possible threat or disaster and when that issue is solved, you move on to the next and so on until you become entirely consumed by feeling anxious from worrying about things that may never actually happen. Your worry is centered on a single issue, not a chain reaction of events. There is a question and it can be answered. An imperfect solution is acceptable to you. Your anxiety isn’t fueling your decisions. You recognize what you can control and accept what you cannot control. You worry about a chain reaction of events. You worry about things for which there can be no answer. You discard a solution because it isn’t the perfect solution. You believe that if you worry more you will feel less anxious. You think that if you worry enough you will be able to control everything. If you find yourself constantly worrying, feeling anxious and pessimistic and unable to enjoy the present moment, we’re here to help. 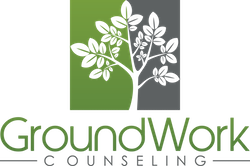 At GroundWork Counseling in Orlando, Florida, our anxiety counselors are trained and certified in Cognitive Behavioral Therapy (CBT), a proven method of treatment for Generalized Anxiety Disorder.